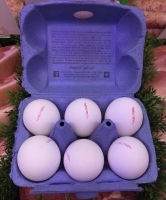 Fenton Poultry eggs have won two prestigious Small Producer of the Year awards, winning not only the fresh food category but also best newcomer award. 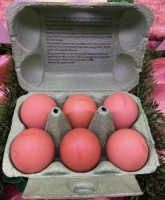 They also won the British Egg Councilâs Small Producer Award. Their eggs have won Gold and Silver medals from Taste of the West. 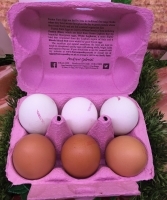 "Reared on our family farm in Holcombe Rogus on the Devon/Somerset border, all our hens are kept in small hen houses from which they can range throughout the day on green pasture. They have a natural cereal diet. I believe that our hens have the best conditions in which to produce excellent quality eggs. All lay strong shelled eggs with bright coloured yolks.